North Bay Village is a city that consists of two islands, Treasure Island and Harbor Island, that boarders the City of Miami and the City of Miami Beach. In the 1940’s, dredging and filling created the islands, and the 79 Street Causeway eventually connected the islands to mainland Miami and Miami Beach. 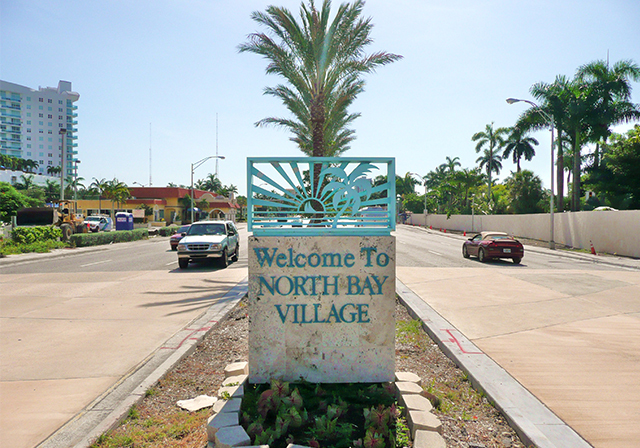 North Bay Village consists of many single-family homes and condominiums, and at first was predominately a winter residence for northerners. It not is the full-time residence for many people who call the area home year-round and is even the headquarters for a major news station here in south Florida. Since the community is surrounded by water, you will often see boaters, jet skis, and people on paddle boards enjoying the beautiful views. The highest single-family home for sale is off Treasure Drive, and is asking a little under $5 million, and the highest asking for a condo is at Cielo on the Bay, asking $1.7 for 4 bedrooms and 4 baths. In recent years, the highest sale price for single-family homes was the ultra-contemporary 7800 Miami View Drive for $4.7 million back in December 2016. The home included 5830 square feet and 70 feet on the water, and the views included the breathtaking Miami skyline.